We've seen Sharp's world's-largest LCD at 108 inches and Hitachi's 3.5-inch hard disk packing a full terabyte for $399. But what about the world's fastest hard drive? Isn't that important? 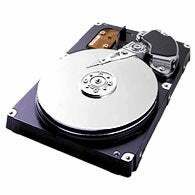 It is to Seagate, which rolled out its 15,000RPM 2.5-inch drive that it says is the fastest on the planet. Even though it's a lot faster, Seagate's updated Savvio hard disk is more power efficient than most, consuming just 5.8 watts when idle, compared to the 8.4 watts consumed by most desktop drives. And how fast is it? Its data access time of 2.9ms is faster than any other, at least for now. It's beginning to ship in HP ProLiant servers in capacities of 36GB or 73GB.